Sylvia Johnson is a Licensed Professional Counselor. She attended Southern Arkansas University and obtained a Bachelor’s degree in Business Administration in 2000. She then earned a Master of Science degree in Mental Health and Clinical Counseling in 2013. 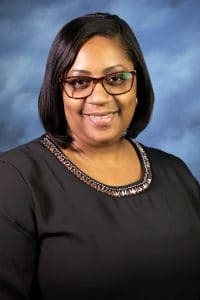 She worked in a community Mental Health setting providing services to both at risk youth and adults prior to joining the Counseling Center at SAU. She is trained in Trauma-Focused Cognitive Behavioral Therapy. She utilizes Cognitive Behavioral and Strength-based strategies with a variety of other techniques. She considers it a privilege to return to her alma mater and work with the faculty, staff, and students of SAU.